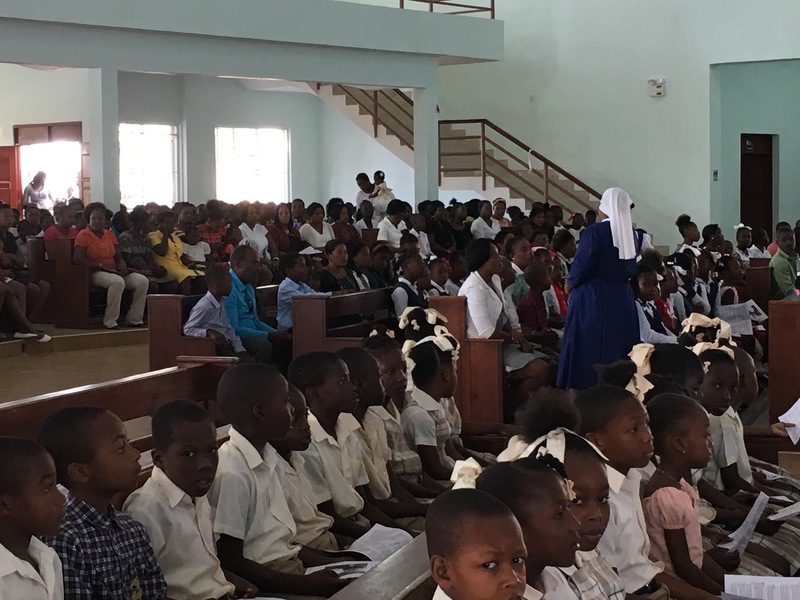 Every first Sunday of the month, we go to a special Mass for children preparing for their First Communion in Jacmel. 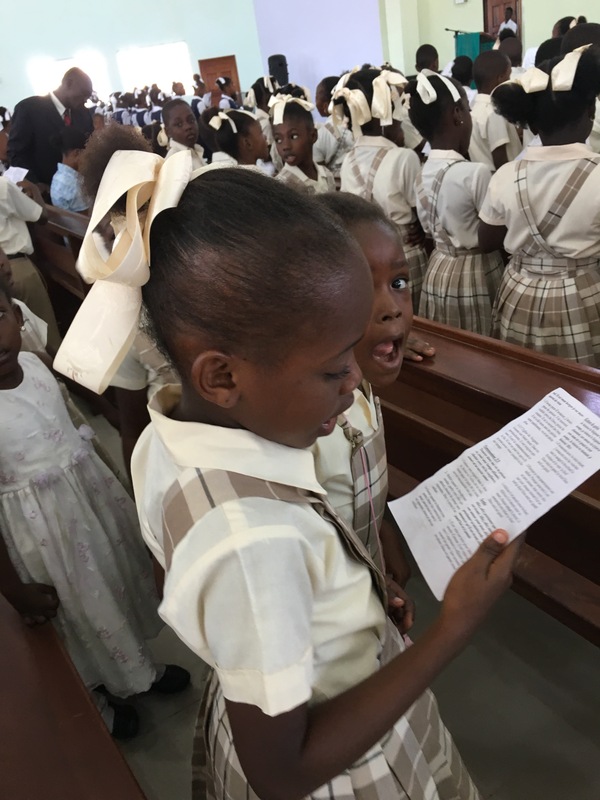 They are kids from the Catholic Schools and those who are in catechetical programs. 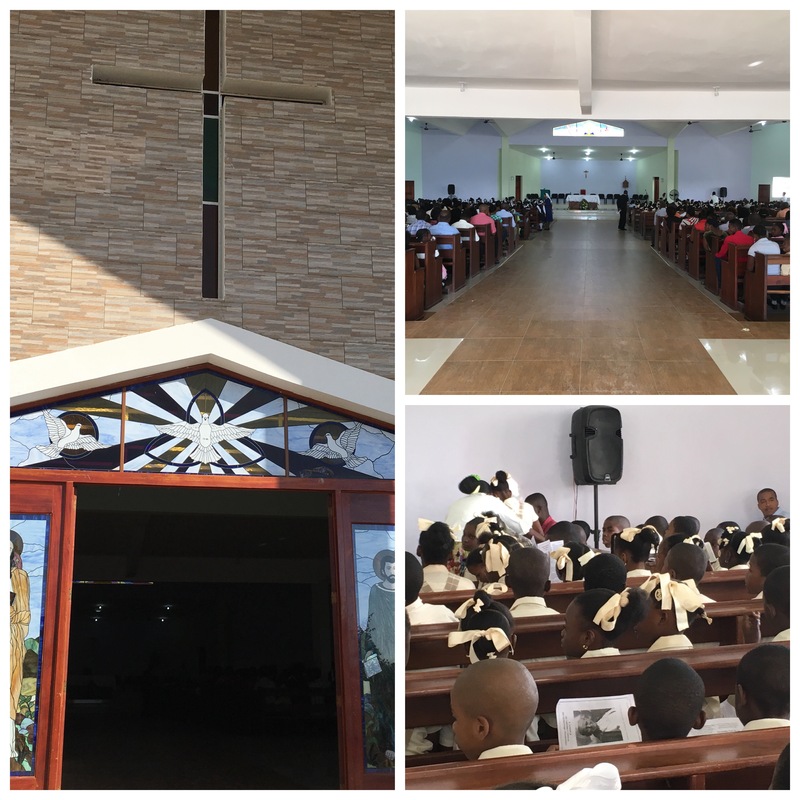 We bring five of our kids every month to this Mass in the new multi-purpose center. This was built after the earthquake because our Cathedral was destroyed. The singing is absolutely beautiful. And the children’s participation is precious. Indeed, let the children come to me.